Appreciating my Bloggy Friends — GIVEAWAY! Please SCROLL DOWN for new posts updated daily!! 1. 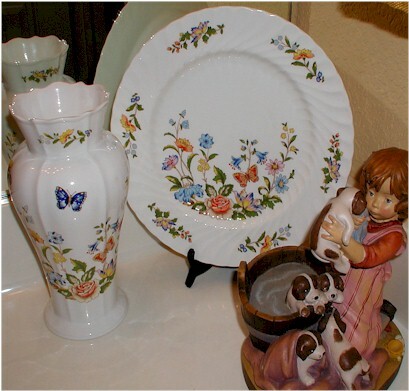 All are welcome to enter the drawing (that means anyone who reads or stumbles upon this blog!). – or, just any comment! 3. Only one comment per person (please make sure I will have a way to contact you). 4. Please note that if you are living outside of the US, only the pillow case will be mailed to you. 5. The winner will be announced on Oct 1, 2008. 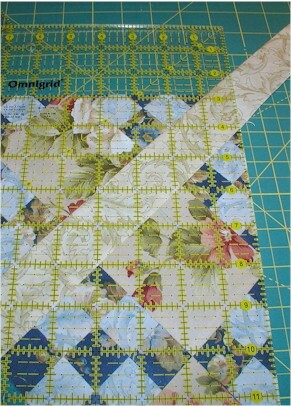 I finished the other scrap project over the weekend using the Pieceful Garden kit scraps. 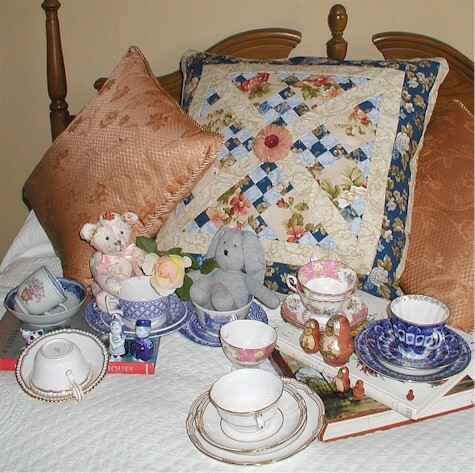 I made it into another pillow because I didn’t foresee myself having time to do the quilting if I had turned it into a table-runner or another small wallhanging. 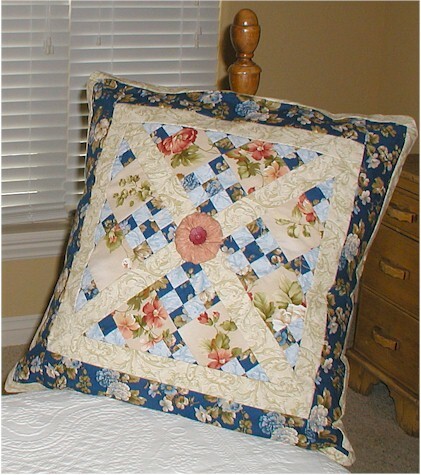 I truly appreciate all the kind comments everyone has left about my Pieceful Garden quilt – and that’s why, I will be putting up one of these two pillows for a giveaway in my post tomorrow! Don’t forget to check back for details!!! Meanwhile, have a wonderful week ahead!!! 1. 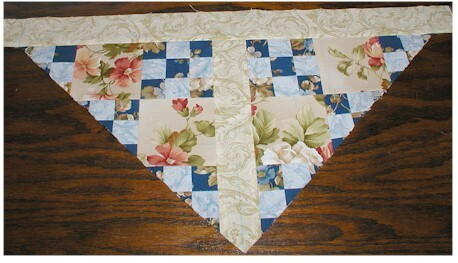 Add more borders as you fancy to make another smaller wallhanging. 2. 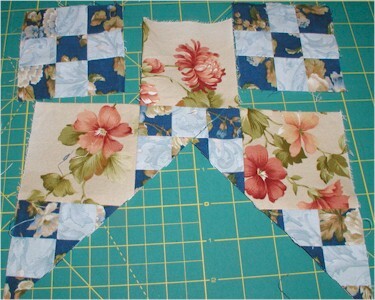 Leave it as it is, or add more borders, to make a pillow case. 3. 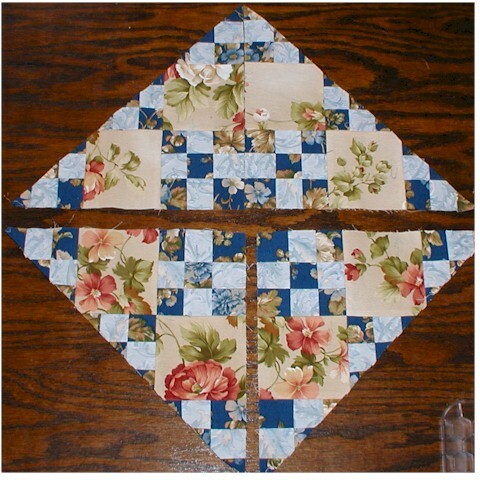 Use both of the new blocks and add a plain block or two to make a table runner. 4. Incorporate it into a tote project. 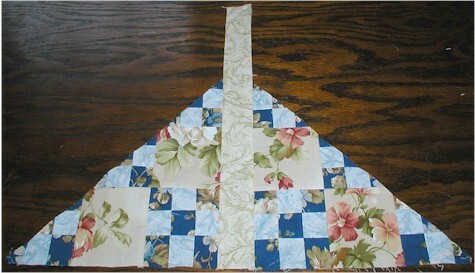 As for me, I am still mulling over my options as to how to finish off this block made from scraps. Do check back in a couple of days — I will have pictures of my completed scrap projects! 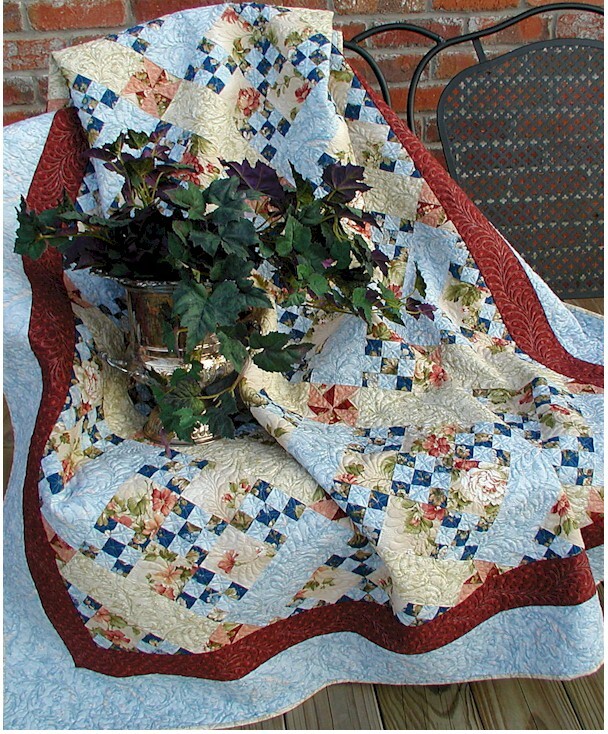 “The Quilter” magazine November issue is scheduled to hit the newsstands on Sept 16 — you will find instructions on how to construct “Pieceful Garden” in the magazine! 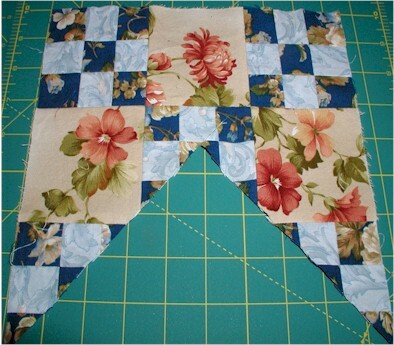 Disclaimer – you will ONLY have the scraps left from Double-Nine-Patch blocks trimming the blocks for the scrap project. 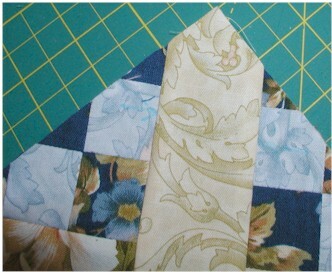 Anything extras you see in my scrap projects require extra fabrics. 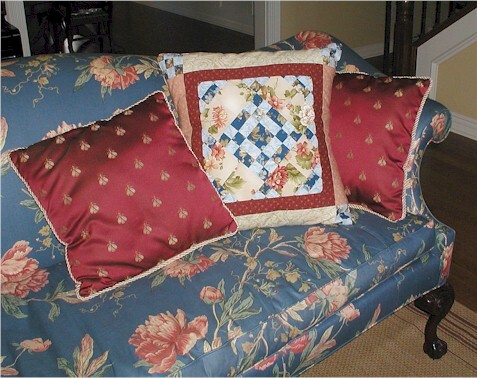 You may choose to purchase more fabrics, or mix-and-match with other fabrics. 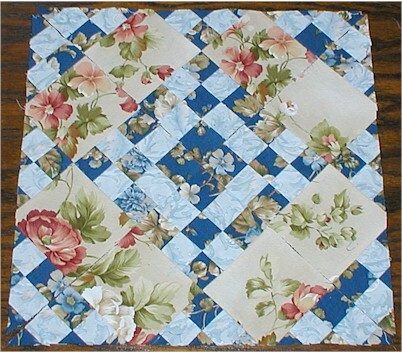 The reason I used coordinating fabrics is because I had extra fabrics left from making the sample quilt for “The Quilter”. 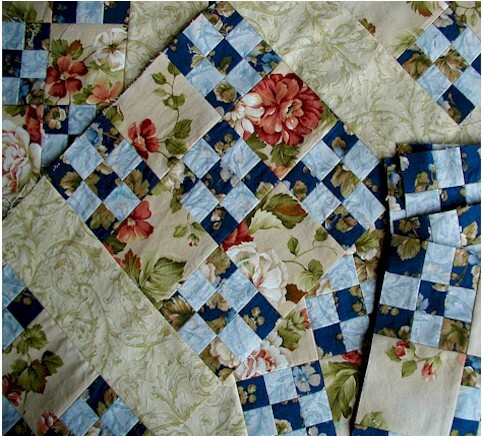 Photo courtesy of "The Quilter"
My bloggy friends, you were there with me through the thick and thin of the construction of my “Pieceful Kingdom” quilt a few months ago. Thank you, and thank you, for your encouragement when I was making the quilt! Here it is, FINALLY!!! 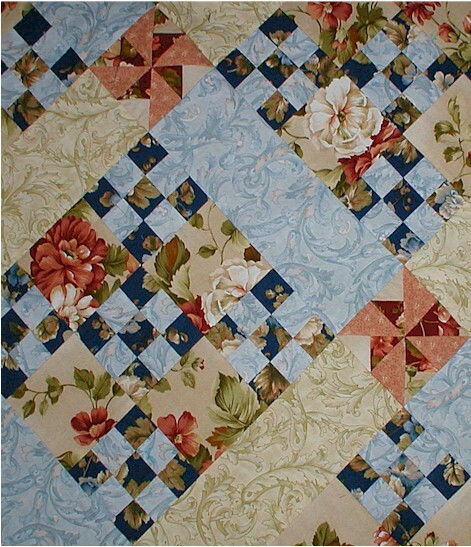 This quilt was made with the popular fabric line “Family Tree” by Benartex. 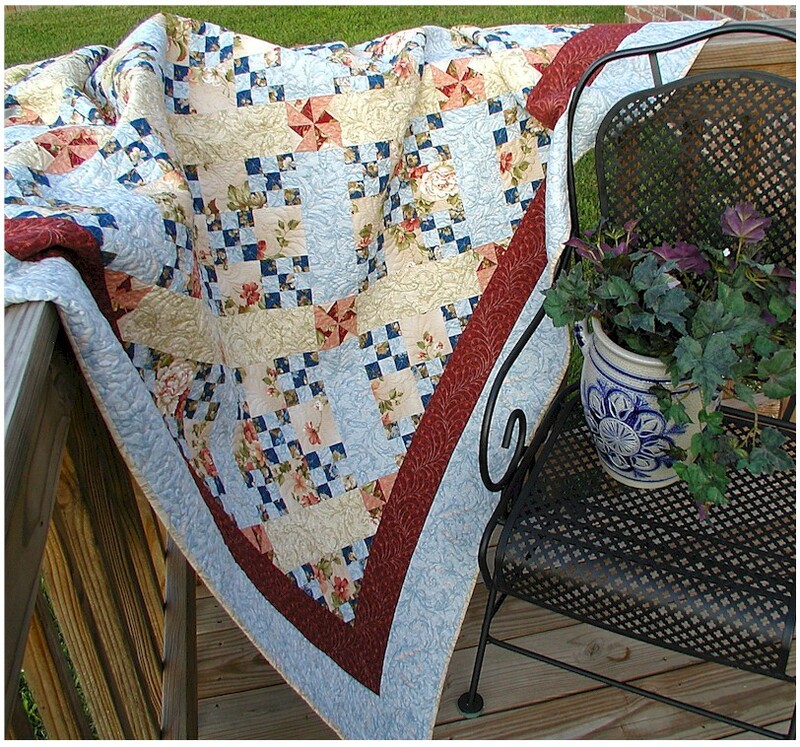 It was renamed by the editorial staff at The Quilter to be “Pieceful Garden” to suit the theme of the fabrics. 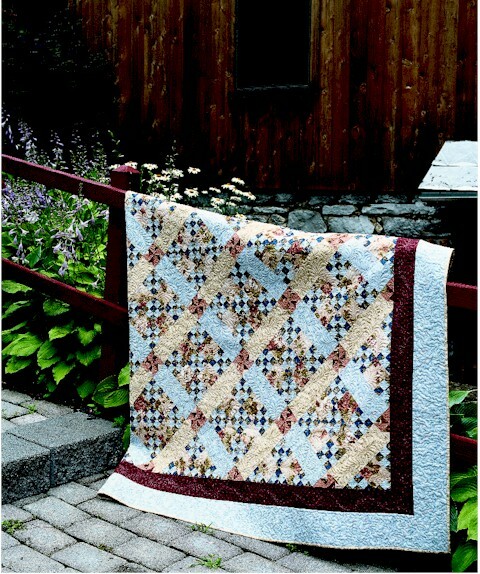 The quilt is now back with me, and is slated to be featured in The Quilter‘s November Issue hitting the newsstands on September 15!!! I am excited!!! I should be getting my copy of the magazine any day now, and when I do, I will post more pictures, including close-up shots. 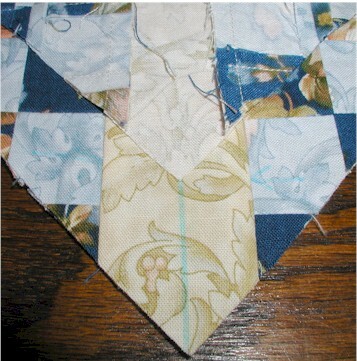 UPDATE (9/7/2008) — click here for BONUS project using the scraps from the kit! 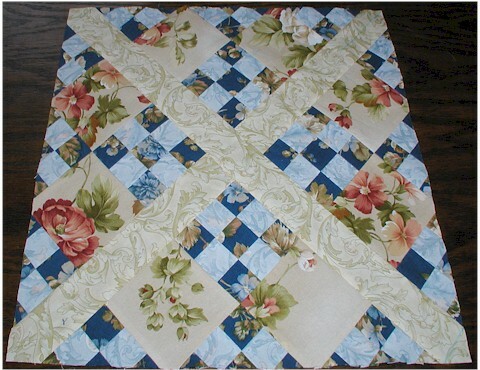 Also, for the quilters that are interested in replicating this quilt, I am offering the kits for sale on my website (my FIRST kitting project!). It was really not that hard except for the fact that it was a bit tedious. 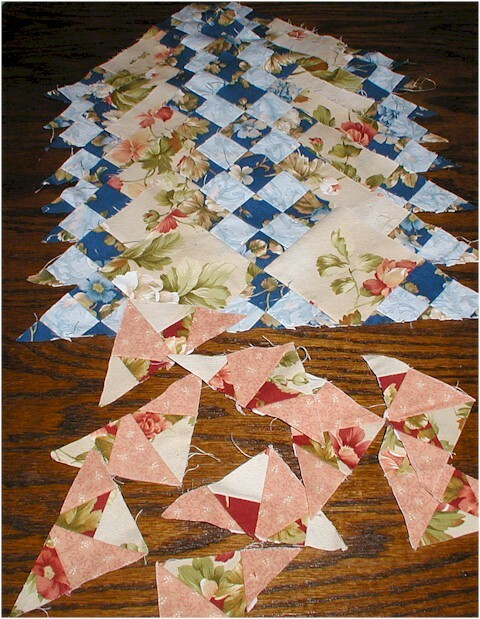 The challenge came when I had to pull out “customized” tricks in getting the finished size for each individual square to be 1″. Things tend to get a bit tricky when one is dealing with something that small in size. So, I had to experiment with moving my needle positions, squaring up the pieces for every seam I sewed… time quickly added up for those 25 blocks I had to make! As if step one wasn’t enough in trying one’s patience, I quickly discovered step 2 is even more challenging, especially for the smaller pinwheels. 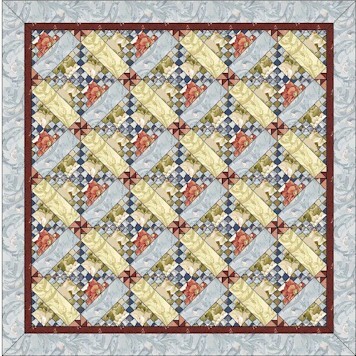 I tried changing out those pinwheel blocks with other blocks in the software, but they just didn’t look as good! Even my artistic consultant (aka husband) agreed. So, I was stuck slugging it out for them pinwheels. 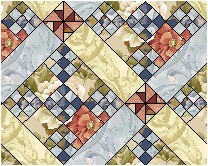 I think I am ready to complete this “challenge within challenge” quilt. 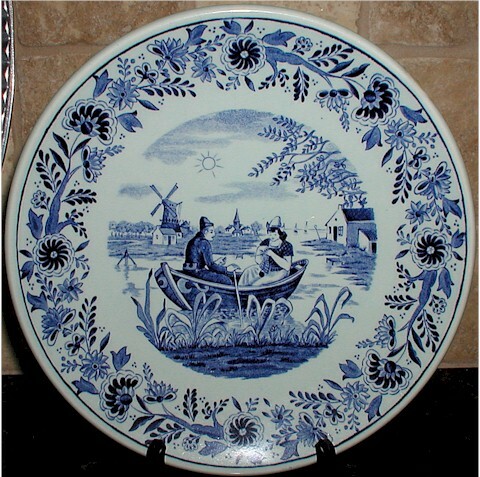 As soon as I am finished with this plus two other magazine quilts this month, I am ready for something easier and doesn’t require any thought – LEISURE – as shown on this Delft plate sent by a friend from Holland! I am a tropical girl at heart. 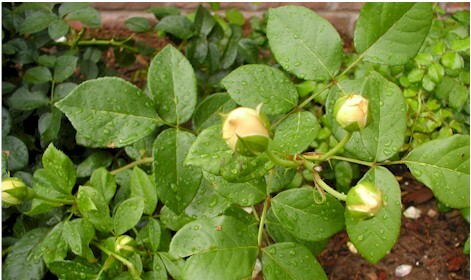 When it has been raining gently throughout the day like today, and if I have nothing better to do, I would love nothing better than to just….